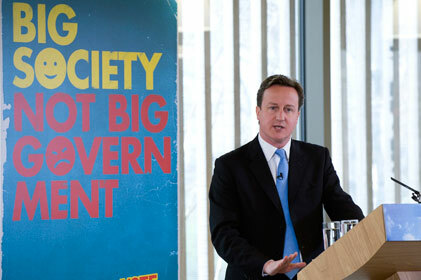 New research into the public's view on the 'Big Society' has revealed that people are still baffled about its meaning. A poll by Yougov for The Sun today revealed that 63 per cent of people say they still don't know what it means. And while 46 per cent think it is a good idea in principle, 68 per cent think it will not work. Almost three in five think it is a smokescreen to cover up the effects of the cuts. This week, Phillip Blond, who helped develop the Big Society idea, admitted the project was in difficulty. ‘The Big Society agenda is still not widely grasped or shared across all departments,’ said Blond. Freelance public affairs consultant Lionel Zetter said of the poll that the Big Society was ‘a hard concept to sell on the doorstep during the general election campaign - and it is still largely unrecognised and unloved’.